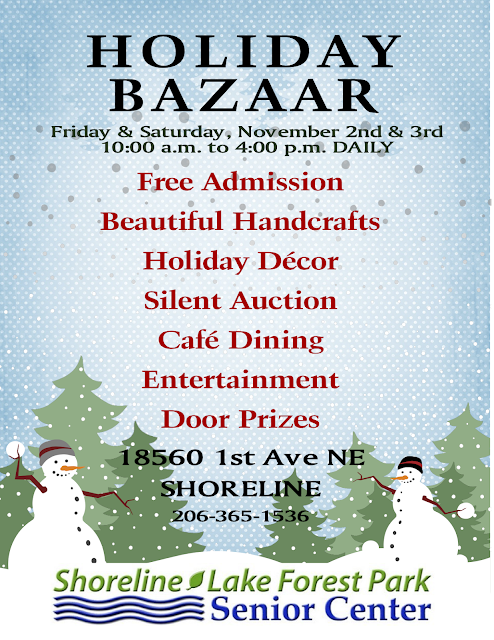 Calling all artists, crafters and vendors! 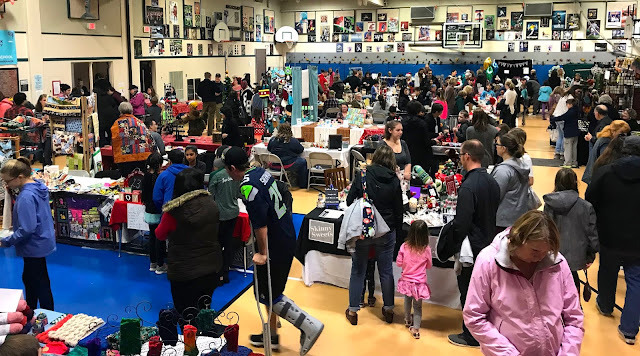 Now accepting booth applications for the 9th annual Lake Forest Park Elementary School Winterfest Bazaar on Saturday December 1st 9:30am - 4pm at the Lake Forest Park Elementary school, 18500 37th Ave NE, Lake Forest Park 98155. This well attended family event is a great opportunity to showcase your wares and support our school at the same time. We have a variety of booth sizes and prices available to fit everyone’s needs. Email Jennifer for more information or to get an application! Everyone deserves a fun night out with a group of friends — add some funky music to the mix and you’ve found yourself at an amazing party! 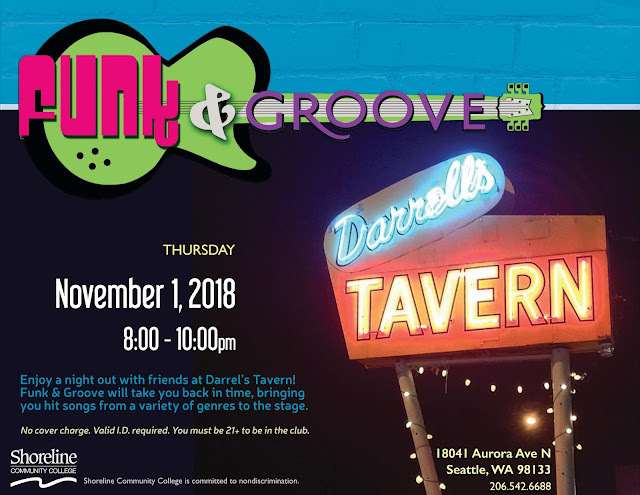 Join us at Darrell’s Tavern on Thursday, November 1, 2018 from 8:00 to 10:00pm for a fantastic show featuring the talented music students enrolled in the Funk 'n Groove ensemble at Shoreline Community College. 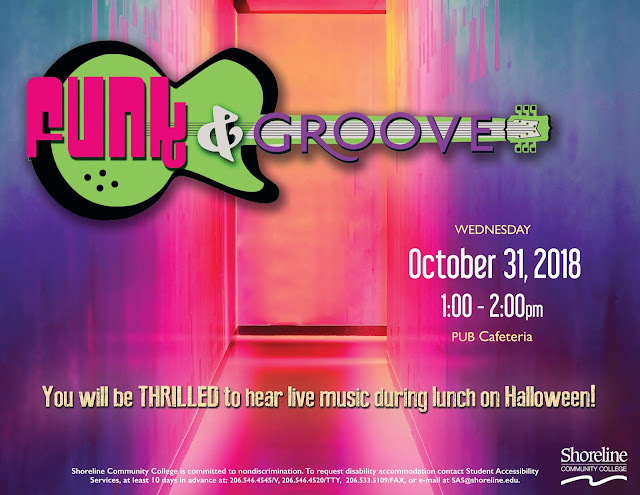 Funk 'n Groove will take you back in time, with a modern twist to hit songs from a variety of genres. You must be 21+ to be inside this venue. Funk 'n Groove is a Shoreline Community College music ensemble which provides opportunities for music students to perform and record songs in styles typical of commercial radio airplay from the 1970's to present. This group performs music from a range of genres, including pop, jazz, and funk, R/B, soul and rap. The Funk 'n Groove band features students who play guitar, bass, piano, horns, drums and percussion, as well as vocalists. To gain professional experience, students perform shows in Seattle area clubs consisting of the original arrangements from artists and groups such as: Earth Wind and Fire, Tower Of Power, Chicago, Chaka Khan, Stevie Wonder, Aretha Franklin, Patti LaBelle, Amy Winehouse, John Mayer, Daft Punk, Pharrell Williams and many more. In addition to offering vocalists and instrumentalists experience in performing in clubs around the Seattle area, Music Technology students can gain valuable hands on audio experience running the sound and recording equipment for rehearsals and live performances. 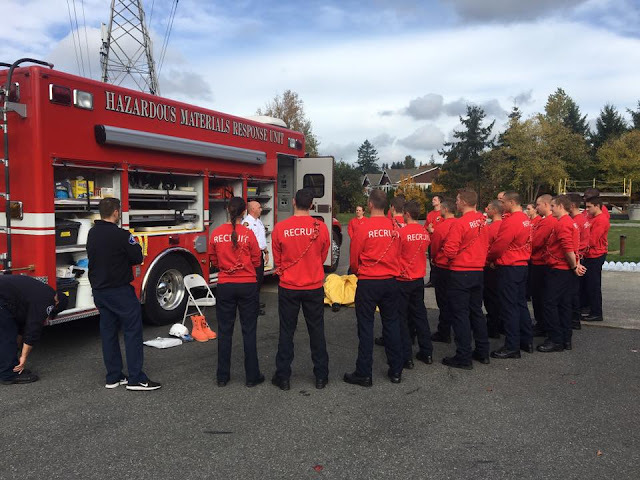 Jason McMillan, City of Shoreline Emergency Management, will speak regarding the CERT* Program and ways to be prepared for emergencies. Time: 7pm-7:45pm with time for Q/A. *CERT is Community Emergency Response Team, a nation-wide training program to help communities prepare for and respond to disasters. Location: Highland Terrace Elementary School Library, 100 N 160th St, Shoreline. The Northwest Orchid Society presents its 2018 Fall Orchid Show and Sale. 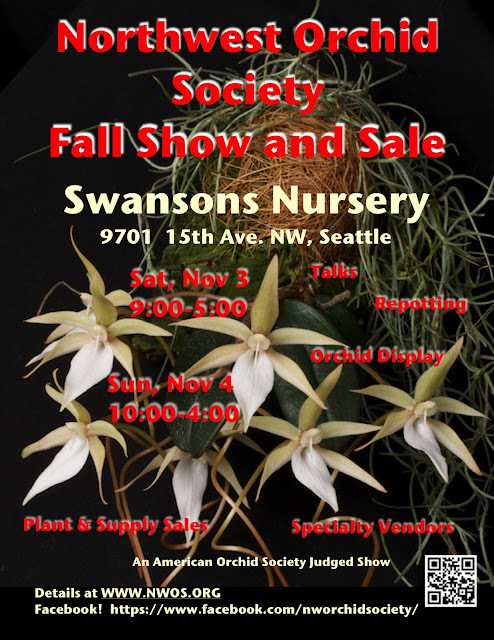 Hosted by Swansons Nursery, this regional show features breathtaking orchid displays by orchid societies from throughout the Pacific Northwest and orchid vendors in attendance. Superior orchid specimens will be competing for coveted awards issued by accredited judges from the American Orchid Society. Our show program includes free seminars by experts on various subjects pertaining to orchid cultivation. Members of the public are encouraged to bring orchids from home for a free repotting service and/or advice for struggling orchids. Knowledgeable volunteers from the Northwest Orchid Society will be available to answer questions for show attendees. Several vendors, both local and visiting from out of state, will have a fine selection of orchids available for purchase. The plants for sale range from excellent quality beginner level plants for the home to rare collectable specimens. A complete list of vendors and seminar schedule will be posted on the society’s website: and on the Northwest Orchid Society Facebook page. The NWOS is a regional non-profit organization focusing on orchid education and conservation, with members throughout the Puget Sound area. 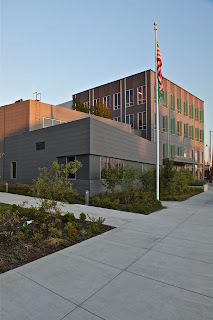 It meets the second Monday of every month at 7pm from September through June at the Center for Urban Horticulture (3501 NE 41st St., Seattle, near University Village. Membership is $30/year. Meetings are free and open to the general public. 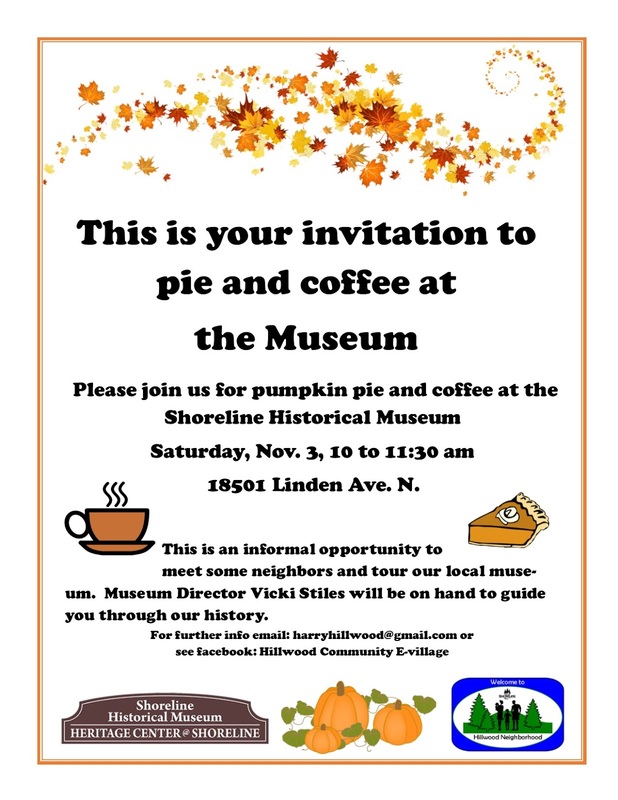 We are launching the fall season with homemade pumpkin pie and coffee at the Shoreline Historical Museum, 18500 Linden Ave N, Saturday, November 3, 10 to 11:30am. Please stop by and say hello. 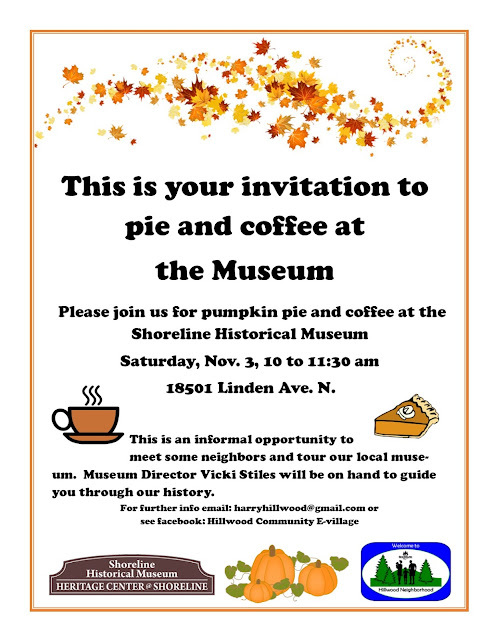 This is an informal opportunity to meet some neighbors and tour our local museum. Museum Director Vicki Stiles will be on hand to guide you through our neighborhood history. This event is sponsored by Hillwood Community Network. All neighbors are welcome. at the NaNoWriMo 2017 Kick-Off and Halloween Party. November means one thing at Shoreline Community College’s Ray W. Howard Library: aspiring local novelists looking to campus resources for support during their NaNoWriMo adventure. The month-long calendar of NaNoWriMo events at Shoreline begins with the annual combination Halloween-NaNoWriMo Kick-Off Party that starts at 10:30 p.m. on Wednesday, October 31 and goes until 1am on Nov. 1. NaNoWriMo is short for National Novel Writing Month, a nationwide initiative aimed at providing structure, community, and encouragement to would-be writers as they attempt to complete a 50,000-word novel in the month of November. 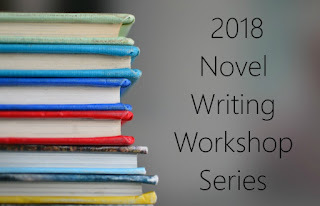 Shoreline regularly hosts the Seattle-area’s official NaNoWriMo Kick-Off Party as well as weekly Wednesday Write-Ins that provide community and inspiration throughout November. This year the College has tapped into faculty talent to add an additional resource: writing workshops. 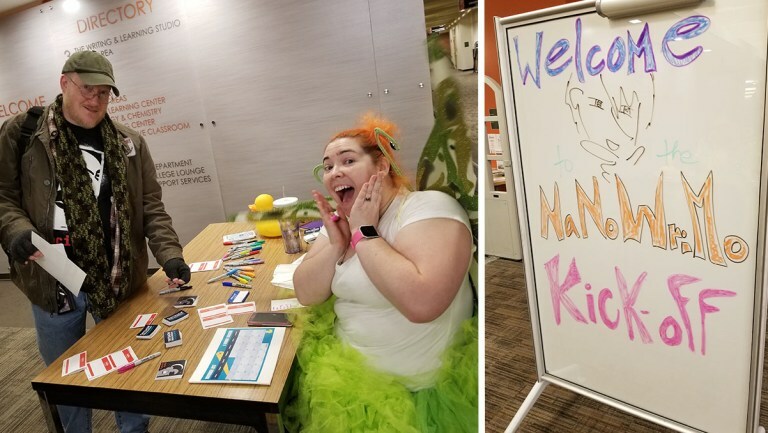 “We are extremely lucky to have many published authors as faculty here at Shoreline,” said Lauren Bryant, Reference Librarian and the organizing force behind the College’s collaboration with NaNoWriMo. Workshops will be held during the Write-In Wednesday events (every Wednesday in November from 4:30-7:30pm) and will cover topics integral to the novel-writing process. The sessions are free and open to the public and are a great way to connect with the local writing community as well as learn from Shoreline faculty whose classes regularly fill up each quarter. The first workshop will be led by English professor Katie Johansen and will cover outlining, mind mapping, and strategies for getting unstuck. Johansen has taught writing and English courses at six colleges and universities, has presented at many writing conferences, and been published widely. Bryant sees the writing workshops as just one more way the College fulfills its goal of being a good neighbor to the larger City of Shoreline community by providing cultural enrichment opportunities for both students and residents. 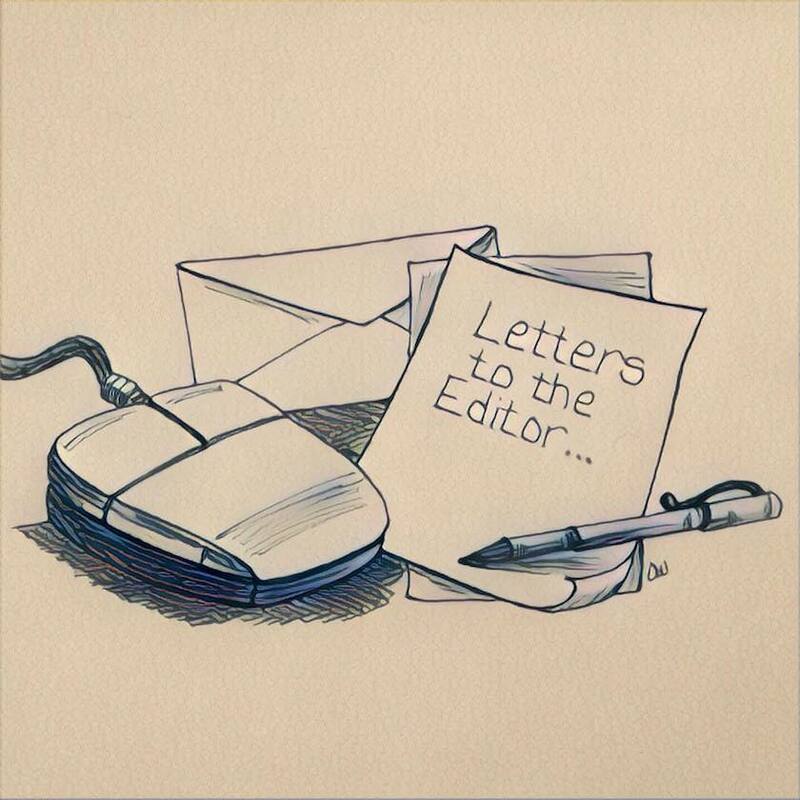 “NaNoWriMo is a wonderful experience for both our students and our at-large community members,” said Bryant. “The Kick-Off party is a great way to connect with others excited about diving into the writing process,” said Bryant. All campus NaNoWriMo events take place in the Ray W. Howard Library on the Shoreline Campus 16101 Greenwood Ave N. For more information, visit the Library’s NaNoWriMo webpage. Learn more about Creative Writing pre-major transfer degree. 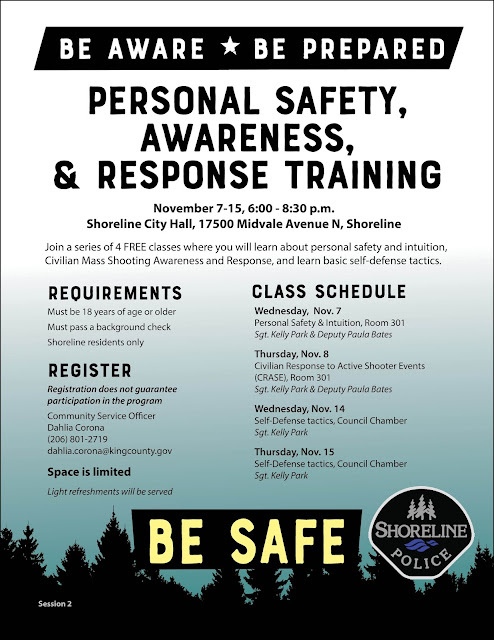 The Shoreline Police are again offering their set of classes for personal safety and awareness for citizens. Registration now open for the Personal Safety Awareness and Response training (PSAR). The 4-class program is designed to raise awareness and get you in the mindset of personal safety/intuition, active shooter incidents and response, and provide you with basic self-defense techniques. It starts Wednesday November 7, 2018. Registration is limited. First-come, first-serve basis, so filling out an application does not guarantee registration/participation in the program. Must pass a background check to participate. It’s the cutest show in town as children ages 1 – 4 arrive in costume to play games and participate in hands-on projects. For more information email SRC@shorelinewa.gov or call 206-801-2600. Mayor Will Hall called the meeting to order at 7:00pm. The Mayor proclaimed November 15, 2018 as the 21st America Recycles Day with a presentation to Evergreen School. Indoor Playground Halloween Wednesday 10/31 from 9:30am to 12:00pm at Spartan Recreation Center for ages 1-5. $3/child. There were no Council Reports. The Agenda and Consent Calendar were unanimously approved. Sara Lane, Administrative Services Director, did the introductions. 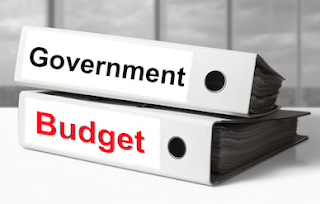 Tonight’s agenda continued the department presentations with reviews of the Public Works Department’s budget, the 2019-2024 Capital Improvement Plan (CIP), the Surface Water Utility and Wastewater Utility budgets, and a brief discussion of budgets for other funds. Based on feedback from Council at the last meeting, the slides were reworked to show annual or biennial figures instead of a combination of both. This was a quick presentation of the Public Works budget including Surface Water and Wastewater Utilities and the Capital Improvement Plan, followed by the General Fund Transfers and Fund Balance and Debt Service Funds. Operations and budget expenditures consist primarily of road surface maintenance, and right of way maintenance. They also spend considerable time on Wastewater maintenance and Surface Water maintenance, asset inventory, and management. Engineering Services include review of Capital Projects, Wastewater reviews, and construction inspections. Transportation Services include City transportation planning and concept development, as well as regional coordination of those efforts. Contract services for landscape maintenance have been unsuccessful in the past years so the City is taking this service in house. This will result in an increase of $750,000 ongoing cost which is about $150,000 less than staying with contract services, due to the most recent “prevailing wage.” Taking these services in house should allow the City to enforce performance standards, offer flexibility in scheduling and meet quality standards by providing direct supervision of the crews. Also this additional staff would be available in case of emergency. 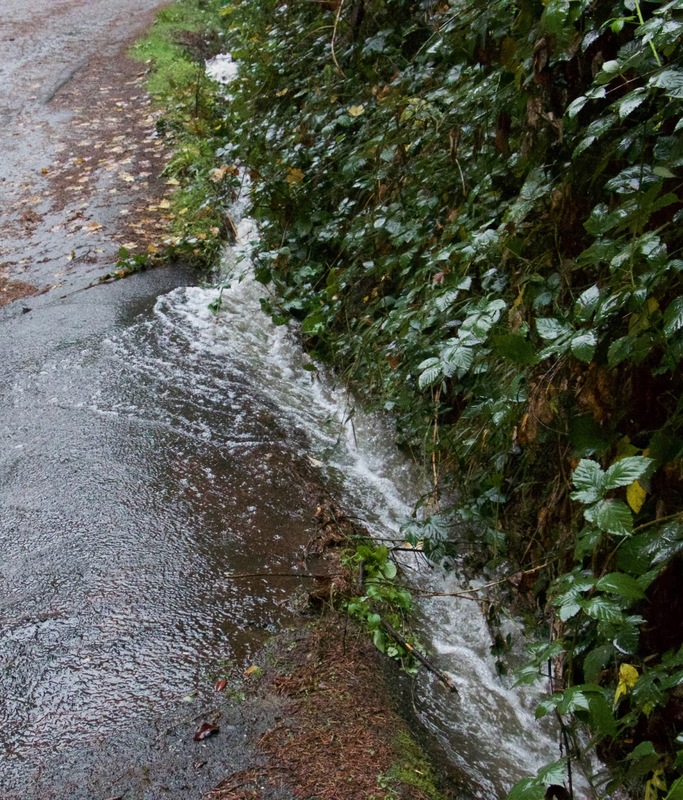 Surface Water utility picks up some of this cost because there are surface water features in the landscaping. This changeover will develop incrementally throughout 2019 . Parks maintenance will continue to be done by contract for 2019 while Unified Landscape Maintenance Service gets up and running. By 2020 all landscape maintenance is planned to be in-house. Another ongoing budget change comes from durable pavement markings. King County used to provide this service (for a fee), but this is one of the services the county is no longer offering. In response to a question from Council, the City is not bringing this in-house because we don’t have the equipment or trained workers. This is part-time work completed during favorable weather so it isn’t something we could contract for with a neighboring city. This is also one of the reasons the County no longer does it. The City has a current backlog of estimated $60,000 of markings not completed as the County stopped doing this (still pushing the County on this). The cost to bring this in-house will be explored at a later date. The long term goal is to have all ongoing work reviewed for possibly bringing in-house. Although the County no longer offers services for durable pavement markings or guardrails, they still do the important traffic signal maintenance and road striping. In addition to the 60k mentioned above, other *one time expenditures include technical review of ST3 SR522/145th BRT project, parking inventory around light rail, damaged guardrails (County no longer provides this support), purchase of a backhoe, and cleaning of the 155th St bridge over Aurora. The City will need to hire a contractor for bridge cleaning. Council questions: can we also review some other areas for parking such as around the college, North City, other residential parking impacted by Light Rail? Or in SE Shoreline along 145th where Seattle residents are parking in Shoreline to avoid Seattle’s regulations - leaving Shoreline residents with no on-street parking. Yes once we identify the areas. The engineer does periodic surveys of parking on an informal schedule. We need to review where, the reason for concern and cost. The revenue comes from the Surface Water Masterplan and Fee Schedule adopted last year. The 2018 Surface Water Master Plan identified several new capital projects as necessary to deliver the Proactive Management Strategy (The proactive management strategy includes implementing 25 high-priority projects and 24 new/enhanced programs that address high priority long-term needs, as well as anticipated new regulatory requirements.). These projects have been programmed in the 2019-2024 Proposed Capital Improvement Plan. There are 13 repair and maintenance projects. We are under contract to Ronald Sewer District (RSD) for maintenance of operations in the field and in the office. We took over these operations in late 2017 so the increase to this biennium from the last reflects this. Staffing changes mostly involved moving staff and reallocating the costs between the City and RSD operations. In response to Council: Rather than purchase a backhoe and pick up truck for the Surface Water Utility, can we share these with RSD? No, RSD contracts out digging operations so there is no equipment to share. Additionally, RSD wants their equipment used only for wastewater work. It’s possible that sometime later we may be able to re-work this. We are budgeting for the biennium, even though it is a 6 year CIP. The proposed CIP consists of the General Capital Fund, City Facilities-Major Maintenance Fund and the Roads Capital Fund. The Surface Water Fund was already covered so it’s not included here. The General Capital Fund represents projects for both parks and facilities. Playground replacement and the Community / Aquatics Center are added for parks this year. As for facilities, now that the police station is complete, what’s left is the city maintenance facility. There is nothing specific for this year. City Facilities-Major Maintenance Funds. No change in budget, it just depends on what maintenance we are doing to which facility. Roads Capital Fund includes Repair and Replacement Projects and Capacity Construction Projects. General Funds transfers and balance summary, and debt service was provided in several charts. This presentation detailed various administrative type corrections to zoning, figures and duplicated information, where later changes made the existing document inaccurate. 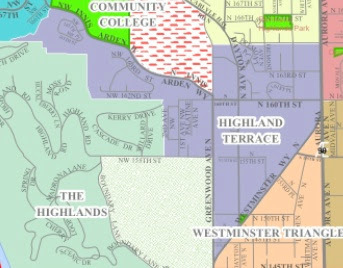 Maps were updated with similar changes in property lines or zoning. 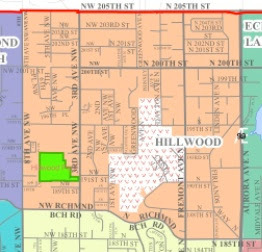 For example, a zoning change made during the year needed to be updated so users could depend on the accuracy of the Plan. Some amendments clarified ambiguities. The meeting was adjourned to be followed by a 30 minute Executive Session. The schedule for the remaining Budget and CIP Review follows. The Biennium Budget is available on line at the City website. Budget Books are also available for review at both libraries (Shoreline Library and Richmond Beach Library) as well as at City Hall. Budget books are available on CD for purchase at City Hall. Later this week, Rabbi Sadya Davidoff, of Chabad of Shoreline, will join 5,600 rabbis and communal leaders from all 50 U.S. states and more than 100 countries, hailing from as far away as Laos and Angola, Ghana and Uzbekistan, at the International Conference of Chabad-Lubavitch Emissaries (Kinus Hashluchim) in Brooklyn, N.Y. The annual event, the largest Jewish gathering in North America, comes just days after the horrific anti-Semitic shooting in Pittsburgh that left 11 dead and as the Chabad-Lubavitch movement marks nearly ten years since the murder of Rabbi Gabi and Rivky Holtzberg, directors of Chabad-Lubavitch of Mumbai, in the 2008 terrorist attacks in Mumbai. 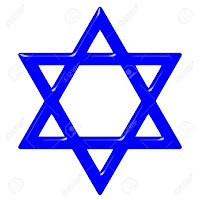 The rabbis — each embracing multiple roles and responsibilities — will explore relevant issues, and learn from professionals and colleagues with years of experience. The topics covered run the gamut of their concerns: combating antisemitism; counseling and guiding congregations in the aftermath of the Pittsburgh attacks; synagogue security; the opioid epidemic; mental health; stemming the tide of assimilation; counseling troubled relationships; inclusion; and a conference within the conference for rabbis who serve students on college campuses, ensuring a lasting impact on the next generation. They continue the legacy of the Rebbe, Rabbi Menachem M. Schneerson, of righteous memory, who spearheaded a global Jewish revival after the Holocaust. Universally known simply as the Rebbe, Rabbi Schneerson is considered the most influential rabbi in modern history. Although he passed away 24 years ago, the Rebbe’s legacy remains as vibrant as ever. His teachings continue to be a guiding force as a new generation of both Jews and non-Jews seeks to positively change the world for the better. WSDOT is looking for an energetic and reliable individual to perform a wide variety of fiscal and administrative tasks for the Northwest Region Purchasing Office. This non-permanent, on-call Secretary Senior will provide daily assistance to staff members and the public, while answering and directing telephone calls, entering payroll, and processing payments. You will certainly thrive in this position if you have experience in customer service, knowledge of payroll functions, and possess strong attention to detail. THRILLING you with hit songs from a variety of genres. Brush up on your zombie dance moves and help us bring Michael Jackson’s infamous song Thriller to life! Halloween is a great excuse to wear a kooky outfit and listen to some funky music! Door Prizes --- $250 cash prize plus more, just for attending the bazaar! Shorecrest volunteers are holding their big Harvest Dinner as a fundraiser for the Teen Gift Drive. 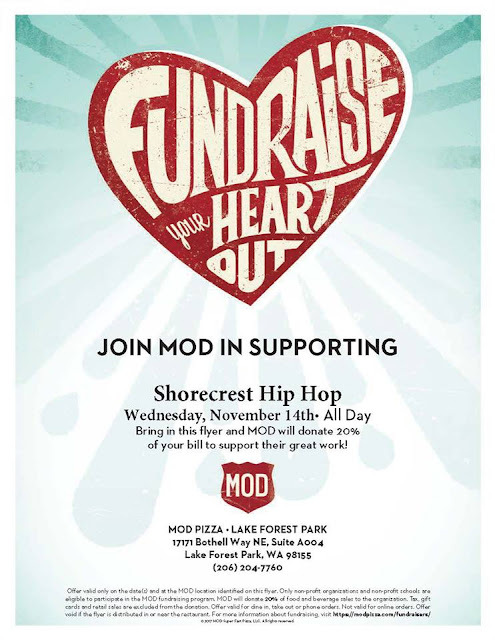 Wednesday, November 14, 2018, 6-8pm in the Shorecrest Commons at the school 15343 25th​ Ave NE, Shoreline WA 98155. 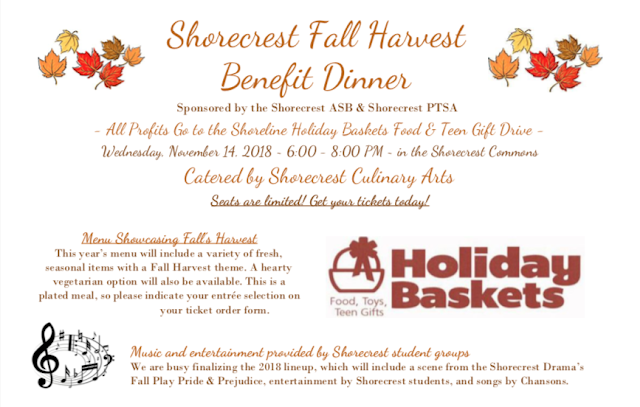 Catered by Shorecrest Culinary Arts and music and entertainment provided by Shorecrest student groups. All proceeds from this event will be used for the Shorecrest Holiday Basket Drive in partnership with the Shorecrest PTSA. Pursuant to Presidential Proclamation, Acting Governor Cyrus Habib hereby directs that Washington State and United States flags at all state agency facilities be lowered to half-staff immediately, in honor of the victims of the tragedy in Pittsburgh, Pennsylvania. Flags should remain at half-staff until close of business or sunset on Wednesday, October 31, 2018. Please call (360) 902-0383 if you have any questions about this flag lowering. As the City Council continues consideration of the Mayor’s Proposed 2019-2020 Biennial Budget, there are only two more days to take the budget survey. The survey is available online through Wednesday, October 31. Thank you for participating in the process! The Dale Turner Family YMCA is hosting an Immigration and Visas workshop on November 12 from 5-6pm in collaboration with Foundation for International Services (FIS). The public is invited to this free workshop on services and resources for working in the U.S. Learn how an international degree can be useful once it is evaluated into an equivalent U.S. degree. 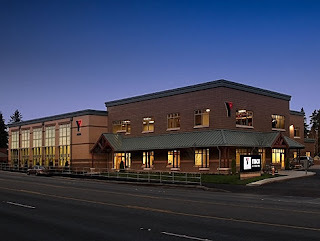 The Y is located off Aurora Avenue N and N 192nd St in the South Echo Lake building complex. To learn about international credential services see the FIS website here, and reserve your seat at the workshop by emailing info@fis-web.com. 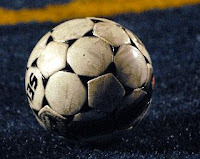 Shorewood’s girls soccer team defeated Shorecrest 1-0 Saturday night and have advanced to the District One 3A semi-finals Tuesday night at Shoreline Stadium against powerful Edmonds-Woodway, the tournament’s top seed. Kickoff is at 8pm. The winner will qualify for State and play Saturday for the District Championship. T-Bird freshman Jadyn Smith drilled a free-kick from just outside the box in the first half for the game’s only score. The Shorewood game will be the third of three matches at Shoreline Stadium Tuesday. Shorecrest tries to keep their hopes of advancing to State alive with the day’s opening game at 4pm against Meadowdale in a loser-out game. The Scots have qualified for the State Tournament the last seven years. Snohomish and Squalicum face each other in the six o’clock winners-bracket game. Apple cider, organic popcorn and a movie with 16 awards to its name… what better way is there to spend a drizzly November afternoon? Doors open at 1:00pm with movie showings at 1:15pm and 3:00pm. Meanwhile in the lobby until 4:30pm, visit the exhibits and discover ways to “grow where you are”. Whether it be sprouts in a jar, herbs and veggies in a patio pot, a chicken coop, a community plot, or a large backyard garden… growing your own food is nutritious, fun and satisfying. There will be kid-friendly activities and face painting, too. Bring your family and friends. Get advice and share expertise. Tell tales of your one tiny ripe tomato or that giant zucchini to folks like you who genuinely care! Now back to the movie… In their search for answers, filmmakers Dan Susman and Andrew Monbouquette take a road trip and meet the men and women who are challenging the way this country grows and distributes its food, one vacant city lot, rooftop garden, and backyard chicken coop at a time. Join them as they discover that good food isn’t the only crop these urban visionaries are harvesting. They’re producing stronger and more vibrant communities, too. especially if they don't qualify for subsidies." Washington state Insurance Commissioner Mike Kreidler has approved 11 health insurers to sell 74 plans in Washington's 2019 individual health insurance market. Health insurers requested a 19.44 percent average increase, but Kreidler’s office determined that only 13.57 percent was justified. All 39 counties in the state will have at least one Exchange insurer. “I’m grateful increases are down from last year and that we’re seeing some moderation of rate changes, but I know these costs may be hard for many to afford — especially if they don’t qualify for subsidies," said Kreidler. Search approved 2019 premiums by insurer and find decision memos and the complete filings for each insurer. About 266,000 Washingtonians — about 4 percent of our state population — do not get employer or government-sponsored health insurance and must buy their own coverage. Individual health plans are available through the state Exchange, Washington Healthplanfinder, or directly from an insurer. However, financial subsidies are only available through the Exchange. Last year, 207,000 people enrolled through the Exchange, and approximately 60 percent of them received a subsidy. Open enrollment — for coverage beginning Jan. 1, 2019 — starts Nov. 1 and ends Dec. 15, 2018. Una exposición de grabados originales de calavera de José Guadalupe Posada (1852-1913) y obras del artista mexicano contemporáneo Artemio Rodríguez. - El trabajo de Posada se reconoce instantáneamente en todo el mundo y está estrechamente entrelazado con Dia de Muertos. Si te perdiste de ver su espectáculo reciente en el Museo de Arte en Bellevue estás de suerte: ¡ahora parte de su obra se dirige aquí! Rodríguez nació en Tacámbaro, Michoacán, México, en 1972, y fue introducido al arte por Juan Pasco, un maestro impresor que trabaja en el Taller San Martín, cerca de la ciudad natal de Rodríguez. Música en vivo - ¡Escucha, baila y disfruta! Comida y bebida tradicional para todos: desde Pan de Muerto hasta Horchata, lo tenemos cubierto. Los estudiantes de Shorecrest Culinary Arts están ofreciendo aperitivos y bebidas sin alcohol. Bar de cerveza y vino. Se incluye una bebida con la compra de entradas para adultos, y se pueden comprar bebidas adicionales también. Cambio de comunidad con fotos y ofrenda: por favor, planee agregar algo al altar trayendo fotos de sus queridos y cualquier otro artículo que desean. Actividades artísticas para los jóvenes y los adultos. Dia de Muertos en Lake Forest Park - Viernes, 2 de Noviembre a las 6:30 en la noche, en Lake Forest Park Civic Center. Los boletos para adultos cuestan $30, los de jóvenes (menores de 20 años) $15. Este evento está organizado por el Shoreline-Lake Forest Park Arts Council con la ayuda de las ciudades de Shoreline y Lake Forest Park. Los precios de las entradas ayudan a cubrir el costo del entretenimiento y las actividades, y todo lo recaudado se destinará a la programación artística en nuestra comunidad. 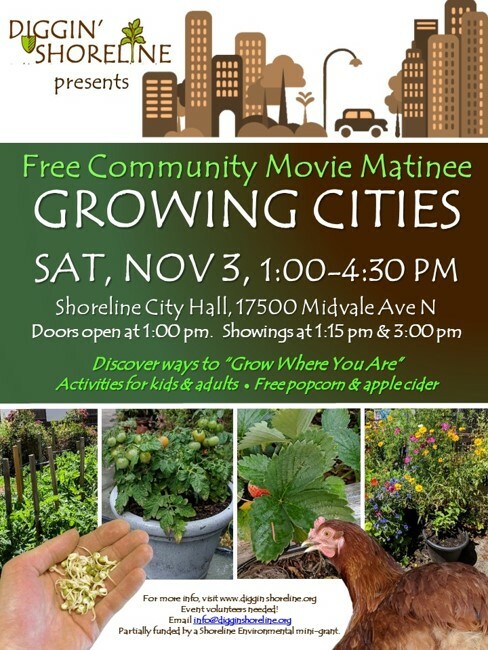 Shoreline-Lake Forest Park Arts Council es una organización sin fines de lucro 501c3 enfocada en cultivar la creatividad e inspirar a nuestra comunidad a través del arte. An exhibition of original clavera prints by José Guadalupe Posada (1852-1913) and works by contemporary Mexican artist Artemio Rodriguez. – Posada’s work is instantly recognizable worldwide and closely intertwined with Dia de Muertos. If you missed seeing his recent show at the Bellevue Art Museum, you’re in luck: now some of his art is coming to you! Rodriguez was born in Tacambaro, Michoacan, Mexico in 1972, and was introduced to art from Juan Pasco, a master printmaker working out of the Taller San Martin Pescador near Rodriguez’s hometown. Live music – Listen, dance, and enjoy! Traditional food and drink for all – from Pan de Muerto to Horchata we’ve got you covered. Appetizers and non-alcoholic drinks are being provided by the students of Shorecrest Culinary Arts. Bar drinks for those over 21 – Beer and Wine. One drink is included with adult ticket purchase, and additional drinks may be purchased that night. Community altar with photos and ofrenda – Please plan to add to the altar by bringing photos of loved ones, and any other items you would like. Hands-on art activities -- for youth and adults. Dia de Muertos in Lake Forest Park – Friday, November 2, 6:30pm at the Lake Forest Park Civic Center. Tickets for Adults are $30, Youth (20 and under) $15. This event is organized by the Shoreline-Lake Forest Park Arts Council with support from the Cities of Shoreline and Lake Forest Park. Ticket prices help cover the cost of entertainment and activities, any proceeds made will go towards arts programming in our community. The Shoreline-Lake Forest Park Arts Council is a 501c3 nonprofit focused on cultivating creativity and inspiring our community through the arts. 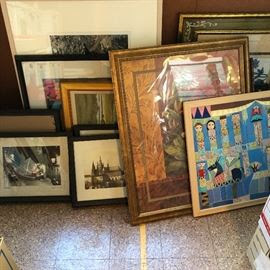 At the Ryther Child Center League's Art, Home and Holiday Sale benefiting children at Ryther on Saturday Nov. 3, 2018, you will find an assortment of quality items collected from estate sales and donors for the Ryther League's ReStyle for Ryther store. "We have a small store and this sale will allow us to display these items in a larger space and open the sale to the public." Ryther Child Center League's Art, Home and Holiday Sale benefiting children will be held on Saturday November 3, 2018 from 10am -3pm at Ryther (2400 NE 95th St., Seattle 98115). Some of the items include: artwork and prints, frames, Christmas items, vintage china, dishware, vases, silver plated items, linens, candlesticks, small furniture items, and crystal glassware. Cash and Credit Cards accepted. Plus 3% service fee on charges. NO checks. Bring your own wrap, bags, boxes for items purchased. Event is free. Three of them are Shoreline's - can you see them? I was able to identify and contact the Governmental Affairs team from the Washington REALTORS PAC to ask them about the flyers being sent out under their name. I had not been convinced the flyers actually came from the association. 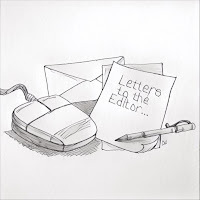 "The recent mail piece by Washington REALTORS PAC discusses a well-documented ethical lapse by Senator Chase. The story in The Seattle Times that we cited thoroughly documents Senator Chase’s conduct and stands on its own. "We believe voters should and will consider all relevant facts as they choose who should represent them in the Senate. "While we respect all members of the Senate, we note that Sen Chase’s own seatmates in the State House have endorsed her opponent, Democrat Jesse Solomon. "Senator Chase’s own seatmates are joined by the Seattle Times, the Everett Herald and the Stranger. 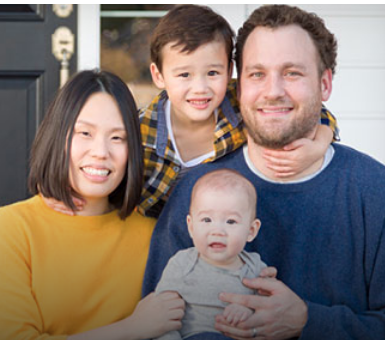 "Washington REALTORS® is a bipartisan PAC that endorses both Democrats and Republicans based solely on candidates’ positions affecting affordable homeownership and thriving communities. "We have endorsed Democrat Jesse Salomon because we believe he is better prepared to lead on these issues." I’m voting for Jesse Salomon because we deserve to be represented by someone who cares about our district. As a City Councilmember and Deputy Mayor, Jesse has shown his commitment to working on the issues that matter to Shoreline residents. He is devoted to taking care of our kids, our environment and our seniors. I know this first hand, because I served on the City Council with Jesse for six years. Every week he showed his commitment to our residents, even while working full time in Kent as a public defender, he was always ready to work and take care of the people. Jesse is an open minded, inclusive listener. 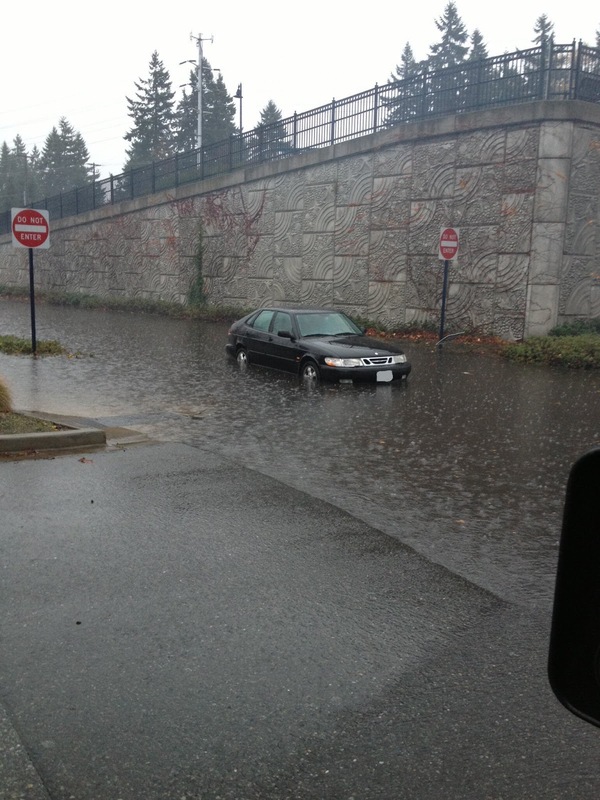 Our current senator rarely takes meetings to hear about Shoreline’s priorities. She’s criticized us for prioritizing affordable housing. If you are lucky enough to get a meeting with her, she will turn it into a meeting about her. She has done nothing to help our citizens prosper, or to make life better for her constituents (us). We deserve a senator who will listen to our needs and issues and work hard for us. Jesse Salomon will do that. Join me in voting for Jesse! My mother was a feminist politician in NY in the 1970’s-80’s. If you think Hillary had it bad, imagine a sea of Archie Bunkers saying vile things to your mom’s face. As Doctor Ford would say, "it is indelible in my hippocampus". So here we are in 2018 and in some ways little has changed. I have received no less than three ugly hit pieces towards Maralyn Chase this week. If you look at the fine print, Washington REALTORS PAC paid for them. This is a red flag to me and makes me wonder what they get in return for their investment in, yet another lawyer, Jesse Salomon. This is in addition to Salomon receiving money from Monsanto, a chemical behemoth that allegedly didn’t like Chase sponsoring a bill to get GMO labeling on food (Senate Bill 6298). I’m fed up with all of it and what’s frustrating is that these tactics still work on some voters. If you’re tired of PACs and corporations steering elections and can’t decide between two democrats for 32nd’s State Senate, read the fine print. We need more women in politics and we need experienced female leadership to help guide the next generation of female leaders. Support Shorecrest Hip Hop by going to MOD Pizza with this FLYER! Wednesday, November 14, 2018 -- all day! Team will receive 20% of each transaction. Flyer must be present for team to receive credit. Proceeds goes directly to the program! Mod Pizza, Lake Forest Park Town Center lower wing, south end. This charming creation is in a yard in the central part of Shoreline. Good by day or night! Costumes that impair your pet’s vision, hearing, or mobility, or costumes that are too tight or too loose can be uncomfortable for your pet. The elastic in costumes can restrict circulation, loose-fitting costumes can become tangled and small, dangling pieces can create a choking hazard. Make sure that your pet has as much fun playing dress up as you do. A decorative collar is always a great alternative! Keep your companion animals in a room away from the front door when trick-or-treaters are visiting. It is too easy for them to be frightened by the goblins and slip out the door. This is the perfect time to make sure your pet is microchipped and wearing up-to-date identification. Most veterinarians and shelters offer microchipping. If your pet is already microchipped, be sure the company has your current address and phone numbers. **Walk-in appointments available daily from 2-4 p.m. for microchipping in Seattle Humane's veterinary clinic. Chocolate and other seemingly harmless ingredients can be poisonous to dogs and cats, so keep them out of reach. Dispose of the wrappers where pets can’t get to them to avoid choking and explain to your children why Fluffy can’t share their treats. 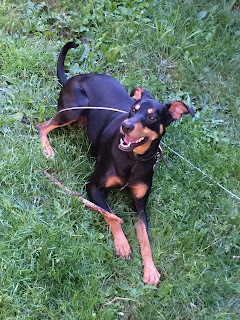 Tail wagging is a good thing – unless it’s done around a lit candle! Keep candles and lit jack-o-lanterns at a height where your pets can’t knock them over or get burned. By following these helpful tips, Halloween can be a fun and safe holiday for pets and people alike. Be prepared in case your pet ingests chocolate or xylitol-sweetened candy. Know the nearest emergency animal hospital. Contact the ASPCA Poison Control Center at 888-426-4435 for immediate help. Animal Medical Center of Seattle (AMCS) (in Shoreline!) is a fully staffed, veterinarian owned, 24-hour emergency and specialty hospital located in Shoreline at 14810 15th Avenue NE, Suite B, Shoreline 98155. Phone 206-204-3366 to give them a heads-up that you are coming and what the problem is. A few years ago at the District Finals track meet, a meet official wandered over to the pole vault area to watch the boys perform. He stood next to three outstanding distance runners from one school who were admiring their efforts. One commented “Wouldn’t it be nice to be able to fly like that?”. Her teammate responded “Wouldn’t it be nice to compete in something that didn’t hurt every time we did it”. Such is the life of a long-distance runner. Lots of long, lonely, largely unnoticed workouts designed to push the body’s limits to painful exhaustion. 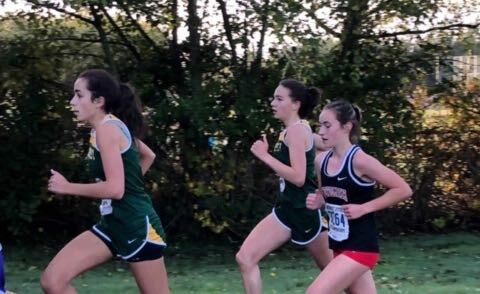 For two highly competitive Shorecrest seniors Saturday, their hours of dedicated exertion bore the fruits of victory at the District One 3A Cross Country meet at South Whidbey HS. Lilly Visser won the District Championship with a time of 19:02, while teammate Lauren Block (two-time District Champion in the 800 meters) ran second in 19:22 over the 5,000 meter course. Full race results are here. After the race, the two talked about their strategy going into the race. "I thought it would be smart to let the Edmonds-Woodway girls set the pace," said Visser. With a GPA of 3.9, she’s knows what smart is. Block, who carries a GPA just a hair higher (3.956) than her teammate, commented “Our goal going into the race was to finish 1 and 2, so I’m glad we were able to do that. When Lilly took the lead back in the woods, I just decided to go with her. I wanted to get closer to her while building more distance between myself and the Ed-Way girls”. The two took time to reflect on what running has done for them. Visser — “Running has provided an outlet in my life that allows me to take a break from the stress that school brings, and challenges me in a way that nothing else does. The combined mental and physical training always challenges me but it has brought really great rewards”. Among those rewards, Lilly is weighing her college choices, with Seattle U., Gonzaga, and Loyola-Marymount under consideration. She also volunteers with the Pink Polka Dot Guild, an inspiring local charity that raises funds for pediatric cancer research. Block — “Running has given me so many great opportunities, taking me to outstanding meets like NXR, Seaside, and the Oregon Relays. The biggest plus is most of my closest friends in high school I’ve made through running cross-country and track”. Block has agreed to attend the University of Portland next year. The two train together, nearly year-round. Chances are if you’ve been driving in LFP or near the Shorecrest campus and have seen a pair of teenage girls running through the neighborhood, it’s been these two. They keep a record of every workout, and have even calculated how many miles they’ve run together since their freshman year. As they prepare for next Saturday’s State Finals at Sun Willows Golf Course over in Pasco, they’ll both go over the 4,000 mile mark. And I’ll bet every single mile brought its own degree of pain. I received yet another mailing from the Jesse Salomon campaign yesterday. This is the 6th mailing I have received in just the last week. These mailings say that Jesse will cut property taxes; that he represents the interests of the people; and that Maralyn Chase is a corrupt politician who voted against transparency in government. He says this with the proverbial “straight face” while standing next to and being endorsed by 2 other local politicians who voted EXACTLY the same way Maralyn Chase did on that issue. Does he not see the hypocrisy in that? Jesse was one of the Shoreline City Council members who voted to take over Ronald Wastewater District, and Maralyn was the ONLY state level representative to call that out. Who’s the corrupt politician again? Does he not see the “liar, liar, pants on fire” sign on his back when he says “I am going to cut your property taxes,” when his voting record on city council shows that he has voted 6 times to do just the opposite? Does he think our voters are too stupid to vote based on what he has done, not on what he says? Does he think that we are too stupid to remember how consistently Maralyn has fought for us? Just check into Jesse’s voting record on city council. You will find that he is consistent as well. If the people want it; he votes against it. If the people don’t want it; he votes for it. He is consistently fighting against us. Things that we can say about Maralyn that we cannot say about Jesse: she isn’t sending out negative mailers to the voters; she has a long record of consistency in her campaign information and her voting record, and she has a long history of working on the issues that are important to the voters in this district, not those of Monsanto, Chevron, or the supporters of charter schools. 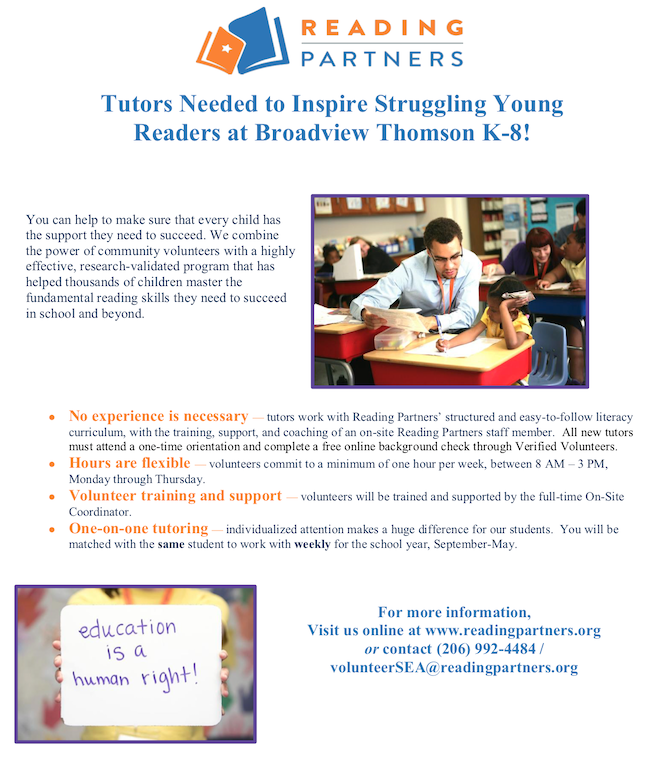 No experience is necessary — tutors work with Reading Partners’ structured and easy-to-follow literacy curriculum, with the training, support, and coaching of an on-site Reading Partners staff member. All new tutors must attend a one-time orientation and complete a free online background check through Verified Volunteers. Hours are flexible — volunteers commit a minimum of one hour per week, between 8 AM – 3 PM, Monday through Thursday. Volunteer training and support — volunteers will be trained and supported by the full-time On-Site Coordinator. One-on-one tutoring — individualized attention makes a huge difference for our students. You will be matched with the same student to work with weekly for the school year, September-May. I interned for Senator Maralyn Chase during the 2015 legislative session and am proud to call her a mentor and friend. Senator Chase is committed to ensuring that everyone gets a fair shake. She’s a Democrat of the Great Society school; mindful of the worker and the tradesman, not only limousine liberals. This and her foresight and command of issues strongly qualify her as Chair of the Trade and Economic Development Committee. Senator Chase knows that a rising tide lifts all boats. She knows that ensuring a well-educated, adaptable workforce is the role of our public schools alone, and she’s vigilant to the challenges that outsourcing and automation present to that workforce in the 21st Century. In this, she serves all Washingtonians, from aerospace workers in Snohomish County to farm workers in Yakima County. She’s a champion for a Washington in which all of us can achieve our potential, not just those born to wealth. Senator Chase is a steadfast opponent of corporate welfare. Massive tax breaks for Amazon or Boeing or Microsoft don’t fund education and don’t fund services for the sick, poor, and elderly. She’s fiscally responsible. Senator Chase opened my eyes to the fact that Washington has the most regressive tax structure in the country. 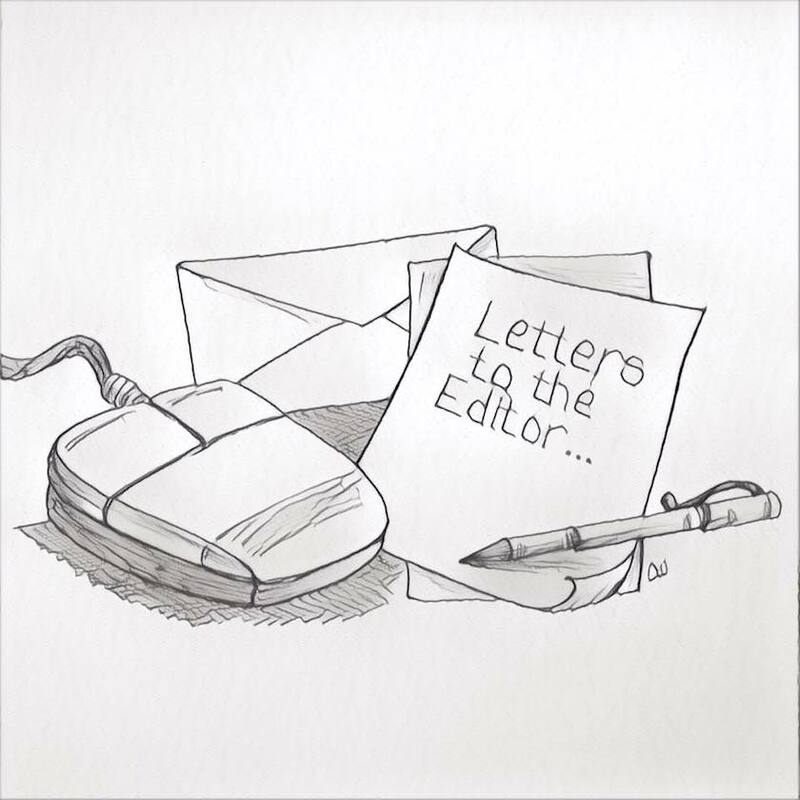 We pride ourselves on being a progressive trailblazer in a country dominated by regressive policies, but when it comes time to put our money where our mouth is we fall short. Senator Chase isn’t afraid to remind us that we must do better, and she will lead the charge against policies that mortgage the fiscal health of our state for the false friendship of corporate interests. Senator Chase is a strong voice for the people of the 32nd District and for the people of Washington. Retain her. Although still in the hunt, the Shorecrest Scots enter the next round of the State 3A Playoffs with the odds certainly stacked against them. Their next opponent will be perennial powerhouse Bellevue, ranked #2 in the state. Without question, a David vs. Goliath type scenario and hopefully one the Scots will embrace during the coming week of practice. Friday Night the Oak Harbor Wildcats made the long drive to Shoreline Stadium and showed the few fans who made the trek with them why they are considered one of the top #10 teams in the state. Wasting no time, the Wildcats proceeded to put points on the scoreboard by driving their Wing T Offense downfield in "military fashion". Oak Harbor’s 21 unanswered first-quarter points set the tone for what would prove to be a difficult hill for the Scots to climb. None-the-less, during their final home game as high school football players, the Shorecrest Seniors came out and showed their ability and desire to compete on any stage. With the score 25 - 13 at the half, Shorecrest were still within reach of a possible upset. Inevitably, at the start of the 3rd qtr., the task for the Scots Coaches would be to devise a scheme to prevent Oak Harbor from running the ball as efficiently as they had done so far. Coaches often use such motivational catch phrases as "it's not the size of the dog in the fight, it's the size of the fight in the dog". Unfortunately, when an opposing Offensive Line averages 6' 3 and 250 lbs, sometimes it is the size of the dog. Despite a respectable 11 - 19 and 159 yds. from Quarterback Eladio Fountain, Oak Harbor continued to rack up points on the backs of their three workhorses Aaron Martinez, Jake Mitten and Dorian Hardin who had three touchdowns rushing and another on a 91-yard kickoff return. During his final appearance at Shoreline Stadium, Antonio Stillwell hauled in 6 Rec. for 78 yds. and Sammy Seliga showed why he has been a joy to watch since his Freshman year. If one were to find the silver lining in a 62 - 27 defeat at home on Senior Night, it just might be that the graduating Seniors of 2019 and 2020 managed to orchestrate a winning drive with only seconds left on the clock. The future of Shorecrest Football certainly looks bright. However, as of this writing, the Shorecrest Highlanders of 2018 still have business to address. The Shorecrest/Bellevue game is officially set for Saturday November 3rd, 7pm at Bellevue. I support Maralyn Chase for State Senator, 32nd LD. I see her as authentic, standing for the values I believe in. She has been working to fix our upside down tax system, the worst in the country, and will continue with our support. We can't fund what we need unless we broaden our revenue base in some fair and equitable fashion. Funding public education, transit and rail, addressing our skyrocketing housing prices and our homeless crisis, expanding broadband service, repairing our infrastructure, transitioning to green energy industry, require finally asking high earners and our huge corporations to pay their fair share. Maralyn has consistently attended the monthly meetings of the 32nd, listened to members’ concerns and supported our resolutions, our endorsements of initiatives and candidates, and our decision-making in general. She has held numerous Town Halls on various topics – Environment, Healthcare, Transportation, Taxes, and others. I never see her opponent, Jesse Salomon at 32nd meetings, never hear him speak or see him sign an initiative or support a resolution. When I look at his campaign, I wonder why he takes money from Monsanto, Chevron, health insurance companies, big developers, AT/T, and proponents of charter schools. I’m sticking with Maralyn Chase. Forecast: We have a lot of rain in the forecast for this week. Most models are showing between 1-2 inches of rain between now and next weekend. Temperatures are expected to be a bit above normal as well, highs in the mid and upper 50's all week with lows near 50. Monday-Tuesday we are expecting mostly cloudy skies and showers that will be a hit and miss nature, much like we had on Sunday. Tuesday evening the next big rainmaker moves in with steady rain increasing overnight. 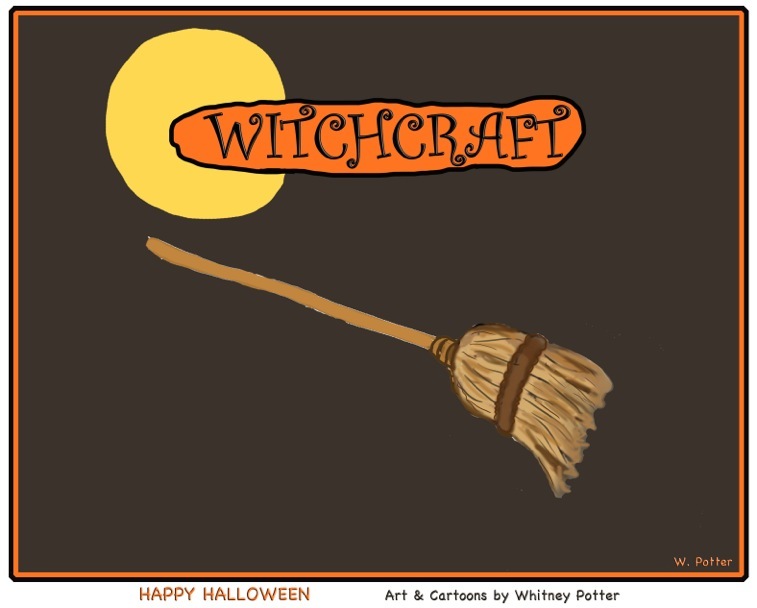 Halloween we are expecting steady rain day in and day out, so it's going to be very wet for trick or treaters. The rain is expected to continue through Friday, heavy at times. We might have a break into showers sometime Thursday. The weekend looks to be cloudy with showers both Saturday and Sunday. Last week we had some significant rainfall to make up for our dry period. 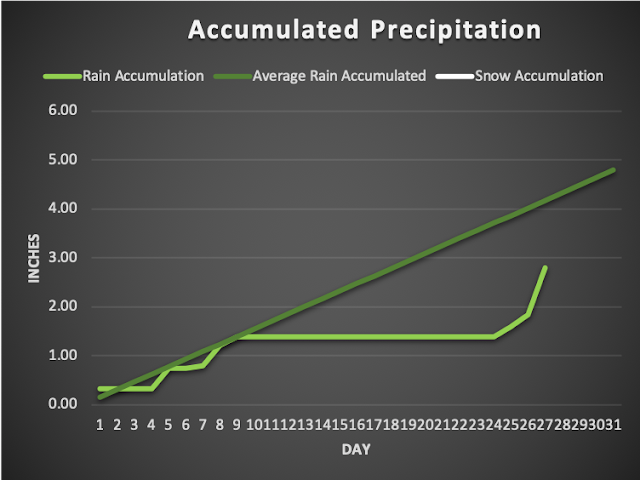 On Saturday alone we received right about 1 inch of rain total for the day. We could very easily pick up enough rain this week to make the average rainfall for the month. 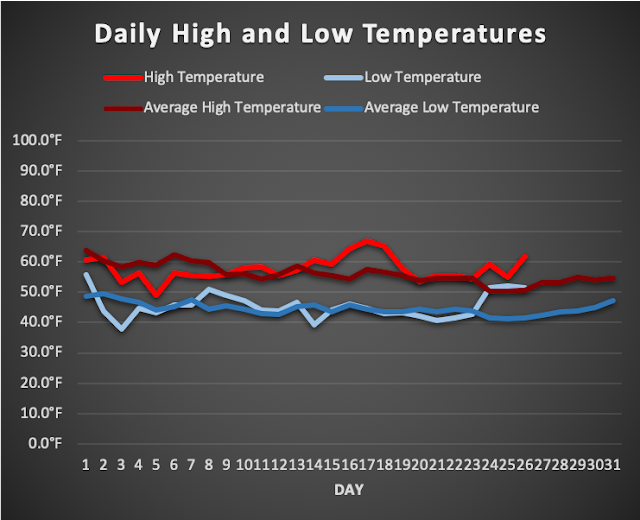 Our temperatures increased a bit above normal when the rain storms came in. I think it'll be enough to push us above normal in average temperature for October. With all these heavy rains and a lot of foliage on the ground we could see some urban flooding. Be sure to check those local storm drains and help keep them clear of debris.